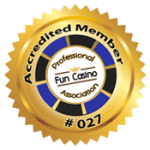 Interested in Our Fun Casino Hire? If you would like a quote or any more information about our fun casino hire, please fill in the form or call the numbers below. We do respond to every email however because we use ‘Casino’ words… Sometimes our emails get caught in spam filters. If you haven’t received a response within 24hours, please check your Junkmail folder or get intouch.